Samsung Galaxy S8 Active and Galaxy Note 5 owners, another update is coming your way. 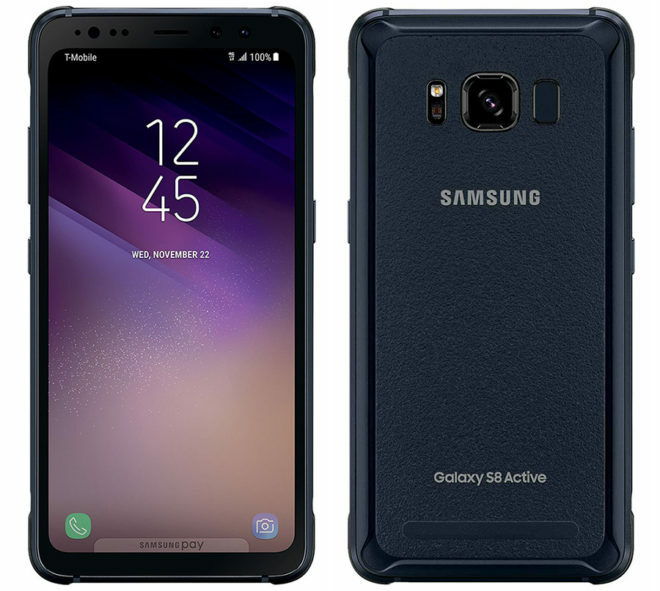 T-Mobile is now pushing new updates to its Galaxy S8 Active and Galaxy Note 5 models. GS8 Active owners should be on the lookout for version G892USQS3BRG5, while Galaxy Note 5 owners will be getting version N920TUVS5ERG1. These updates include the July 2018 Android security patches. 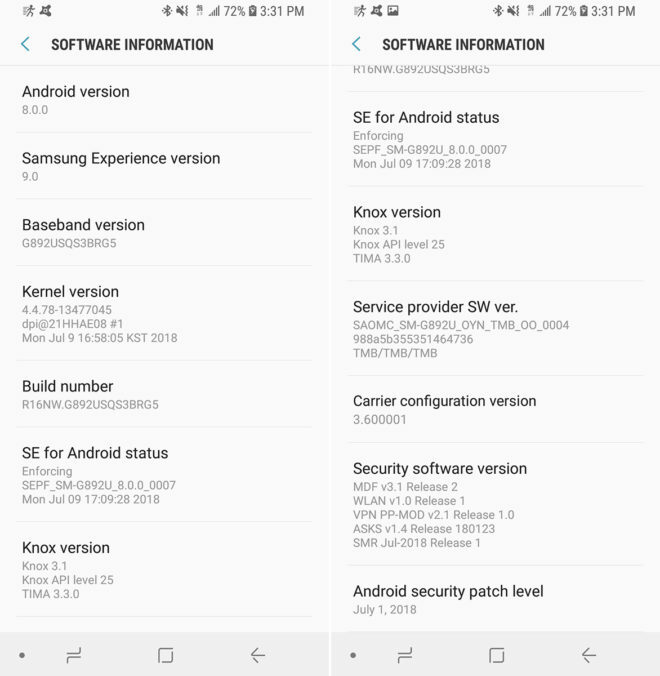 These updates are now rolling out over the air, and as you can see in the screenshots above, TmoNews reader Sam has already received the Galaxy S8 Active update on their device. If you’ve got a Galaxy S8 Active or Galaxy Note 5, you can wait for your update to roll out over the air in the coming days, or you can check for the update manually by going into Settings > Software update > Download updates manually. The Galaxy Note 5 will be 3 years old next month. Great to see Samsung & T-Mobile still supporting it with security updates. I had mine for 2 years because of the Note 7 debacle. Great phone. Believe me. I’ve seen how 4-5 year old Apple devices run on the latest OS. That’s a pass for me. If you don’t think that’s Apple’s way of trying to get you to upgrade, then perhaps you think naivete is just a word in the dictionary. Most people don’t feel the need to upgrade when they don’t have the latest OS as long as their device works just fine, but when your device runs like crap because you’re being forced to upgrade to an OS your device can’t handle, you definitely will. Of course they will run slower but at least apple supports a 4-5 year old phone is my point. I guess it’s a great marketing ploy if you think about it. You get hooked on iphones and then after a few years your device starts to “slow down” apple will then suggest you buy a new phone. Genius! I get your point. I’m just saying that I’d much rather have a device on an older OS that works as well as when I got it than one with the latest, but it runs like garbage. Let’s be real. Android & iOS are mature operating systems at this point. There are almost no “must have” features debuting from year to year at this point.